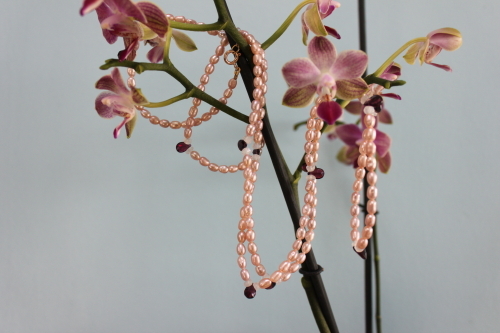 When creativity, charm, and youthful enthusiasm converge it’s a beguiling mix: Fleur Reynolds is that cocktail Fleur makes pleasing, pretty, delicate jewellery from freshwater pearls, semi-precious stones and filled gold. She fizzes with energy as she talks about the pieces she designs and hand makes. Her label is appropriately called Fleurie (www.fleuriejewellery.com). The range includes necklaces and earrings with bracelets being added soon. I met Fleur and at a recent showing of designer Lainey Keogh’s clothes at Dublin’s Shelbourne Hotel (more about Lainey soon). I also met Fleur’s sister the equally charming Coco who is responsible for the striking and colourful artwork on Fleurie’s business cards and packaging. 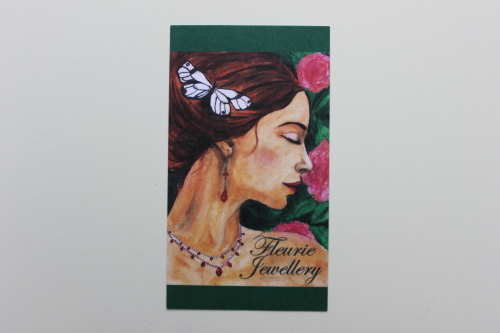 Fleurie jewellery is reasonably priced as Fleur wants to make items that her friends can afford to buy. 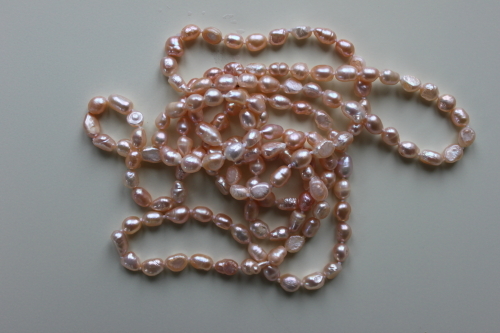 The two pieces pictured above one of which is an extra long rope of freshwater pearls come in at around seventy euro each. A custom service is available. Lots of luck to the two sisters.